Over the past nine decades, Alpha Kappa Alpha Sorority, Inc., Xi Omega Chapter, has demonstrated a rich history of community service and commitment to education. The members continue to value the mission of Alpha Kappa Alpha Sorority, Inc. – service to all mankind. 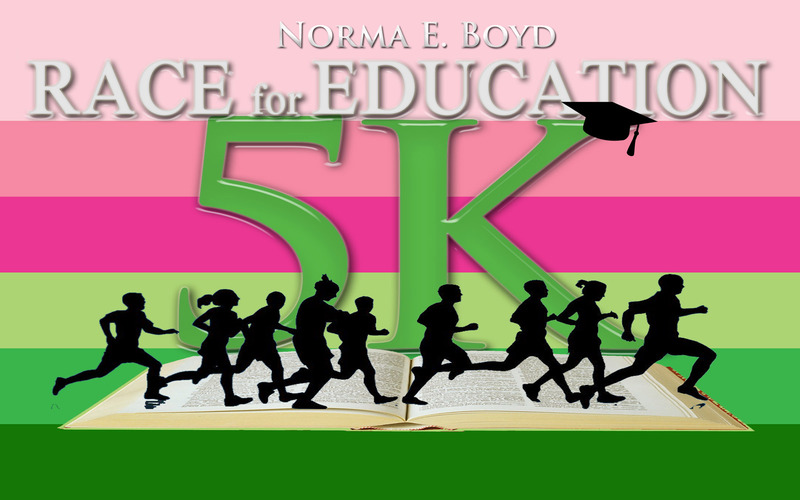 Xi Omega Chapter, in collaboration with the Pearl and Ivy Educational Foundation, Inc., will host its annual Norma E. Boyd 5K Race for Education on Sunday, September 22, 2019.
will receive a commemorative medal by October 1, 2019. If you have any questions regarding the race please contact Jennifer Coleman at (202)903-6268 or jmc1908@hotmail.com.